The men of France invoked the ancient Merovingian Salic Law to bar women from inheriting the throne of France but this hasn’t stopped women from ruling the kingdom. There is a prominent tradition of women acting as Regents. Louise of Savoy was a formidable women well versed in politics. Her son King François I trusted her completely and relied on her to oversee the government of his realm while he was in France and when he was on campaign fighting wars. Louise was born on September 11, 1476. Her father was Philip, Count of Bresse who was a younger brother of the Duke of Savoy. Her mother was Marguerite of Bourbon. She grew up in the family home of the castle of Pont d’Ain, just a few miles from Bourg-en-Bresse and was described as lively, unusually tall with light brown hair, blue grey eyes and a rosy complexion. The count was away from home for extended periods of time and Louise’s mother died of tuberculosis when Louise was seven and her brother Philibert was four. Their father realized the castle of Pont d’Ain was no place for young children and sent them to be educated and brought up by Anne de Beaujeu, the formidable daughter of King Louis XI. Anne herself had a successful career as Regent for her young brother King Charles VIII when Louis XI died in August of 1483. While in the care of Anne, Louise was never more than a poor relation. A sum of eighty livres was allotted from the treasury to clothe Louise. She received an elementary education at the château of Amboise with Margaret of Austria, Charles VIII’s betrothed and other girls in the household. Louise was an avid reader and learned the essential skills needed by ladies of high degree such as feminine deportment and manners, dress and decorum, how to manage a household or even an estate, hierarchy and kinship, how to play the lute and embroidery and Christian morality. Louise also learned many political lessons from Anne de Beaujeu, the virtual ruler of France. All of this was to prepare Louise and the other girls to marry well which Anne de Beaujeu did when she arranged for Louise to marry at the age of eleven. Her chosen husband was Charles d’Orléans, Count of Angoulême and governor of Guyenne. Charles was the great-grandson of King Charles V so he was a Prince of the Blood and in line to inherit the throne if the current king of France died with no male heirs. Louise’s father traveled to Paris to see to the financial and practical preparations of her marriage and to meet with her. 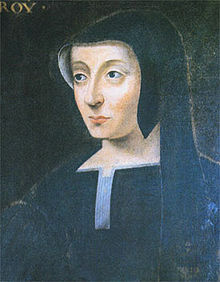 Anne de Beaujeu arranged for her to receive the domains of Romorantin and Châteauneuf-sur-Charente along with a dower of three thousand livres. They were married on February 16, 1488 and that spring, Louise said farewell to her father and left with her twenty-eight year old husband for Cognac. Consummation of the marriage was deferred until Louise was about fourteen or fifteen. Charles had a mistress Antoinette de Polignac by whom he had two daughters, Jeanne and Madeleine. He had another illegitimate daughter named Souveraine by his mistress Jeanne Le Conte. When Louise arrived at Cognac, Antoinette was for all intents and purposes the châtelaine. She embraced Louise and the two women became allies. Charles did not have a lot of income so the household was not affluent and it was a struggle to keep up appearances. Louise only learned a small amount of Latin in the course of her education but she greatly desired to read and learn. Her husband had a remarkable library that included many medieval classics like “Lancelot” and “The Roman de la Rose” along with works by Dante, Petrarch, Christine de Pizan and Boccaccio. Charles and Louise shared a love of books and their marriage was relatively happy. For the most part they lived a quiet life in Cognac. The couple visited the court of King Charles VIII in 1490/91. Louise gave birth to a daughter Marguerite on April 11, 1492. Her son François was born at Cognac on September 12, 1494. This was a turning point in Louise’s life. Louise realized her son could one day be King of France and from that point forward, she poured her heart and soul into the life of her “Caesar”. In December of 1495, Louise and her husband left Cognac to head for Lyon where they intended to greet King Charles VIII who was returning from the wars in Italy. They got no further than Châteauneuf-sur-Charente. Charles caught a chill and after being ill for a month and diligently nursed by Louise, he died on January 1, 1496. Charles had made Louise the guardian of their children and also gave her a life interest in his assets. Along with others, she was executor of his will. Charles cousin, Louis d’Orléans contested the will and managed to gain veto power over Louise regarding financial matters. She couldn’t make any changes in her household without his consent. Even though there was little money, she still managed to add books to her husband’s library. After her husband’s death, Louise continued to take care of her own children as well as her husband’s illegitimate daughters, marrying them off as they grew older. Louise devoted her time in her small provincial court to educating François intellectually, religiously and martially. This also benefited Marguerite. Both children wrote poetry. The family grew together and had a great deal of intimacy between them. Louise was considered as a bride for several men but nothing ever materialized. She seemed determined to remain free to pursue her hopes and dreams for her son. Charles VIII was king when her husband died and he had no male heirs. Next in line for the throne was her husband’s cousin Louis d’Orléans. King Charles was married to Anne, Duchess of Brittany. With each passing pregnancy of Anne’s, Louise followed anxiously. When Charles died in 1498, Louis became king and married Anne. Louise watched every pregnancy of the queen closely as a lot was at stake for her. Anne only had two surviving daughters Claude and Renée. Two months after Charles VIII died, Louise was summoned to the court of King Louis XII in Paris to attend his coronation. The family moved from Cognac to Chinon in December. By Christmas they had moved on to Amboise. In theory Louise was mistress of her household but the King was in charge of where she lived and he put Marshal de Gié in place to watch over her. This caused a great deal of conflict. Louise resented Gié’s power over her and the Queen had an irrational dislike of him. Gié had a hard time pleasing both women. King Louis was ill off and on for many years. 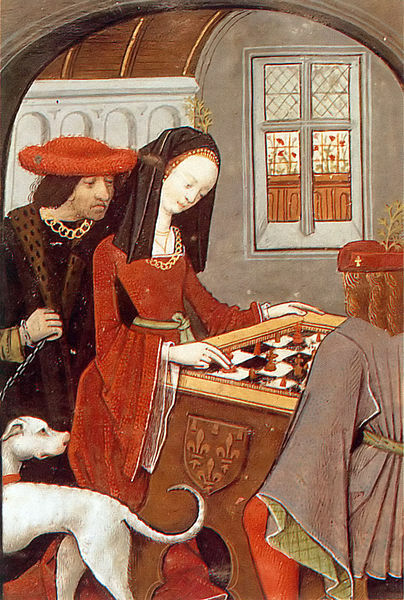 A match between King Louis’ eldest daughter Claude was considered early on. 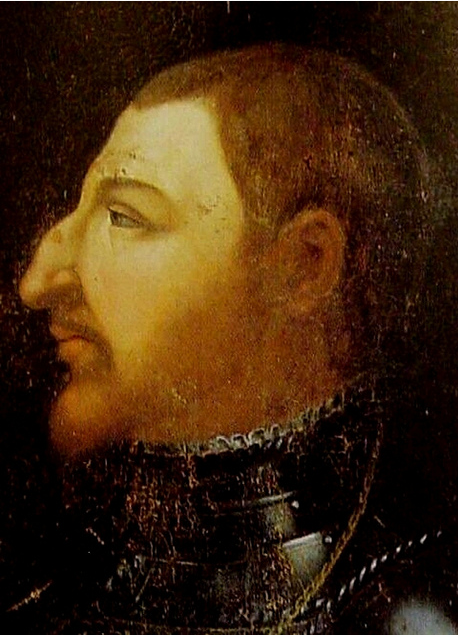 Louis wanted her to marry Louise’s son François but the Queen wanted her to marry Charles of Ghent the future Habsburg emperor Charles V. After Louis suffered a near fatal attack of illness in 1505, he used the opportunity to make a definitive decision on the marriage of his daughter. François was his choice. On January 9, 1514, Anne of Brittany died and entrusted Louise as guardian of her daughters. Claude was deeply distressed at losing her mother. Even so, conclusion of her marriage came to the forefront and plans quickly went ahead. The wedding took place on May 18, 1514 at Saint-Germain-en-Laye where her father happened to be hunting. Much to Louise’s dismay, King Louis married Mary Tudor, the young sister of King Henry VIII of England. François was enchanted with the new queen when she arrived in France and Louise watched his behavior intently. But all the excitement of the marriage was too much for Louis and he died on January 1, 1515. Louise’s beloved son was now King of France. On January 25, he was crowned in Reims Cathedral. François gave Louise many powers in his realm and elevated her to the title of Duchess of Angoulême. He also gave her the duchy of Anjou, the counties of Maine, Beaufort-en-Vallée and the barony of Amboise. The king started his reign engaging in courtly pleasures, leaving the governance of his kingdom in her hands. Louise was a skillful negotiator and expert at choosing experienced advisors. She was always with Françoise and Claude but was careful to never take precedence over the Queen and was very strict in following court etiquette. But she was treated as if she was a crowned queen by ambassadors and other notables. Later in 1515, François left France with his army to press his claim to Italian territory. Louise was named Regent in his absence. The French routed the combined forces of the Papal States and the Old Swiss Confederacy at Marignano in September and captured the Italian city-state of Milan. Although Louise’s time as Regent was short, she appointed men to offices who were devoted to her and her policies. Even after the king returned in 1516, she continued to have great influence over his government. He preferred to hunt and chase women and let his mother do all the heavy lifting of ruling. During the Field of the Cloth of Gold meeting in June of 1520 with King Henry VIII of England, Louise arrived for the festivities riding in a black velvet litter with a considerable number of ladies dressed in crimson velvet with sleeves slashed with gold. In July of 1524, Queen Claude died. 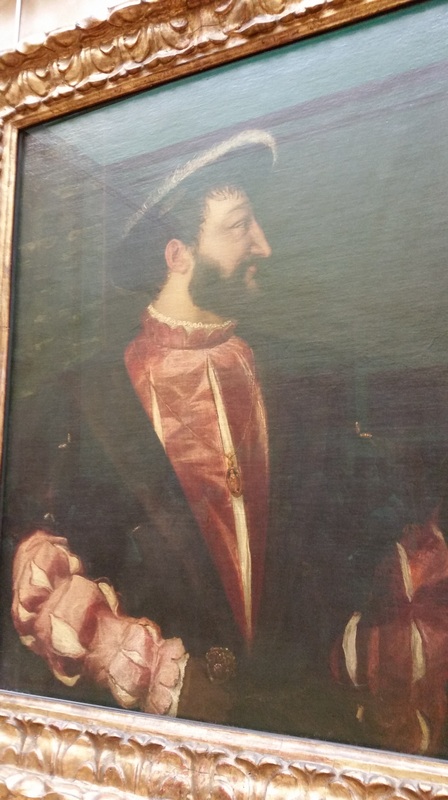 François went to war in Italy again in 1523 and again named his mother Regent. This period of regency lasted much longer because in February of 1525, the French suffered a disastrous defeat at Pavia. François was captured by the Holy Roman Emperor and imprisoned in Spain. Louise was distraught. It took every bit of diplomacy from Louise and her daughter Marguerite to work for his release. In the meantime she had to defend France from the threat of foreign invasion while the king was gone. During this time she negotiated the Treaty of Moore in 1525 with King Henry VIII and Cardinal Wolsey, basically paying England to drop hostilities toward France. She also negotiated the League of Cognac with Pope Clement VIII and the Venetians, and worked with the Ottoman Empire persuading all of them not to hamper François’ invasion of Italy and to keep Charles V engaged while she sought the release of the king. She ultimately secured the release of François with the Treaty of Madrid in 1526. In return for the restoration of the valuable territory of Burgundy to the Holy Roman Emperor Charles V, François would be released. François had to marry the Emperor’s sister Eleanor of Austria and his two eldest sons François and Henri were to be taken hostage by the Emperor to enforce the terms of the treaty. She traveled south to Bayonne to exchange her grandsons for her son. From this point on Louise worked tirelessly to get her grandsons released. Perhaps her greatest moment of triumph was the Ladies Peace of Cambrai of August 1529. She negotiated with her sister-in-law, Margaret of Austria who represented her nephew, Charles V. With this treaty, Louise worked out a cash ransom for the return of her grandsons and the marriage of her son to Eleanor of Austria. She collected the enormous ransom and in July of 1530, the two boys were escorted back to France by Eleanor. On March 5, 1531, Louise attended the coronation of Queen Eleanor at St. Denis in Paris. She had long been suffering from gout and other physical ailments. She soon became very ill and was closely attended by her daughter Marguerite. She requested to see her son but he made excuses, saying he was trying to avoid pestilence. Louise was heartbroken. She died on September 22, 1531. On October 17, she was interred in the Basilica of St. Denis. Louise was a great admirer of Italian art. She learned to love it from the works that were brought back from Italy by Charles VIII and Louis XII and installed in the castles of Blois and Amboise. Louise has been criticized for her choice of some of the men she employed in the government and for appropriating money from the royal treasury. France was perpetually in debt during François’ reign but his had more to do with collecting revenues in addition to malfeasance and the crippling ransom for the two princes. Louise was partly responsible for the disgrace of Charles, Duke of Bourbon. There were rumors she wanted to marry Charles to regain what she believed were family assets in the duchy. When his wife Suzanne, Duchess of Bourbon died, there was a dispute over her holdings of Bourbon which Louise won thereby alienating Bourbon. Bourbon would eventually betray his king and began to fight for Charles V.
With the help of Louise, François was able to assert his authority against the Parlement and the Church. She was instrumental in his foreign diplomacy. After her death, François lost a valuable champion for his government and for the French. He would replace her with successive mistresses. She was an industrious and able ruler. With her help, her children guided France into the Renaissance. I think “Francois was enchanted with the new queen” should be “Louis was enchanted with the new queen.” At least, that matches other accounts I have seen. No I meant Francois was enchanted with her. Louis of course was also enchanted.